Aka, stuff they won't Kondo ASAP. 1. A legendary coffee grinder that won't cost you a million bucks but WILL please any coffee lover. Has a 200-watt motor and lid-activated safety switch, grinds up to 3 oz. of coffee beans in seconds, yields up to 12 cups of coffee. Blades can also grind herbs, nuts, grains, and more. Not sold yet? Check out our full review of Krups coffee grinder. Get it from Amazon for $14.49 (available in a blade or burr grinder). It's USDA-certified organic and fair trade. OH and the company claims it makes the world's strongest coffee! Get 1 lbs. from Amazon for $19.99 (also available in ground, pumpkin spice ground, and K-cup dupes). 3. A personalized door mat to tip off visitors that, yes, they do have the correct address. Does this thing go up to 11? Get it from Uncommon Goods for $35. 4. A novel-tea set for anyone who's super excited about their new lil' reading nook where they can get cozy with a nice cuppa. Each tea bag's tag has a famous literary quote. Get a box of 25 bags from Amazon for $13.50 (also available in a different package). 5. Sage wands they can use for a cleansing ritual if they swear by it on the reg, but especially in a new place. Get three sage wands from Amazon for $9.95. 6. A "New Home" candle ready to co-mingle with all sorts of other wonderful scents in their abode. Also available in states for $30 (50), cities for $29.95 (15), countries for $29.95 (10), and memories for $29.95 (12). 7. Freshly baked cookies — 24 of them to be exact — delivered straight to their door because you're pressed for time or have THE WORST track record with potlucks. Get 24 assorted cookies from Amazon for $38.95. 8. 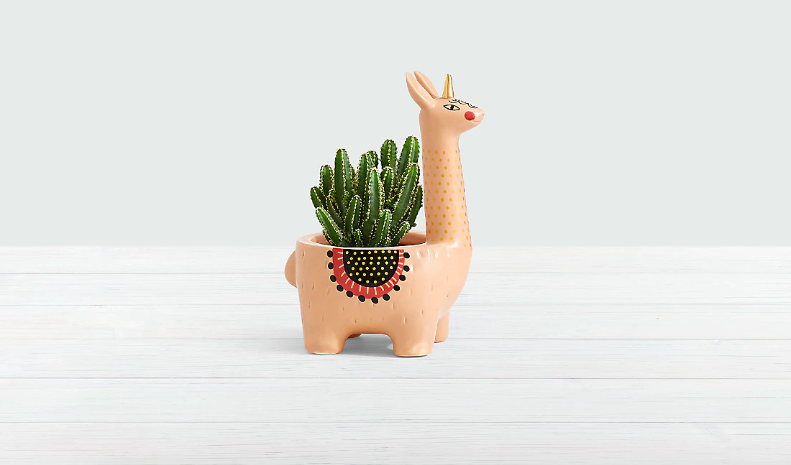 A helpful sloth or llamacorn that'll help them look after some easy-to-care-for houseplants. 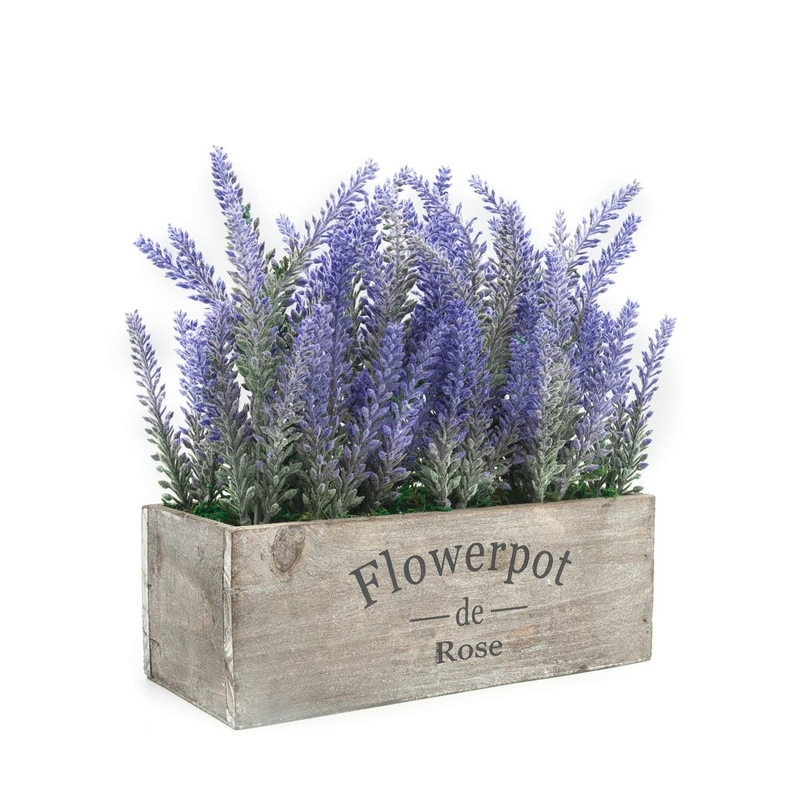 Also check out more best seller house plants they'd love to receive and the best places to order flowers online! 9. Or some faux lilac (potted!) 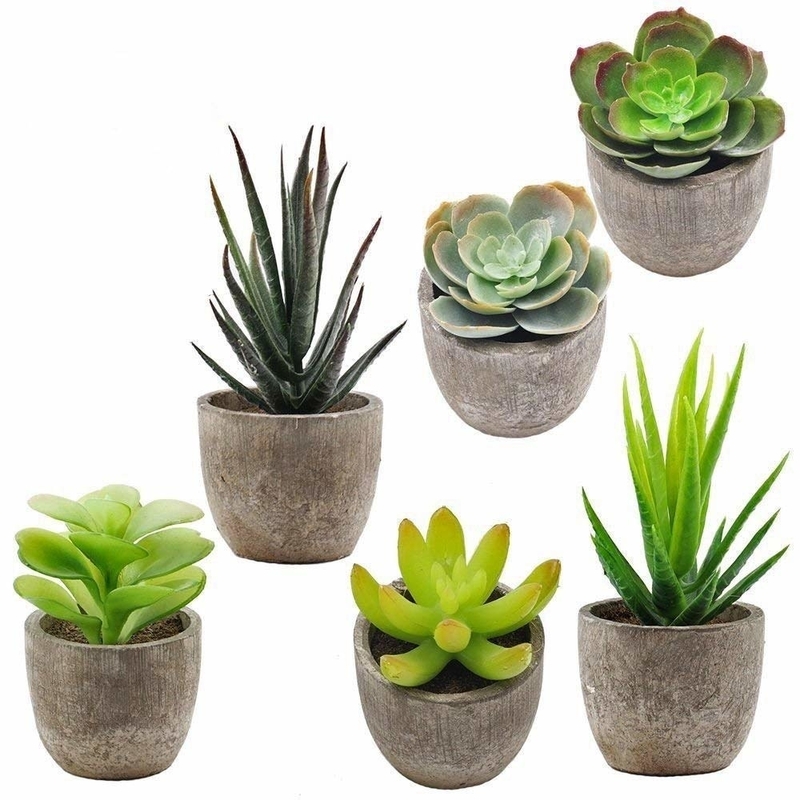 or some pretty, pretty convincing succulents because you can't bear hearing yet another plant murder story from them. "So I picked up these cute succulents at the farmer's market to replace the ones I forgot to water." Enough is enough! 10. A funny bathroom guest book they'll start filling up ASAP at the housewarming! Get it from Amazon for $14.99 (also available in bed). 11. 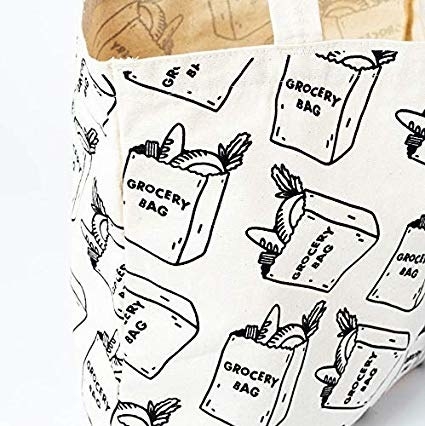 A presentable reusable grocery tote that would look adorable hanging up in their mudroom for the whole world to see. 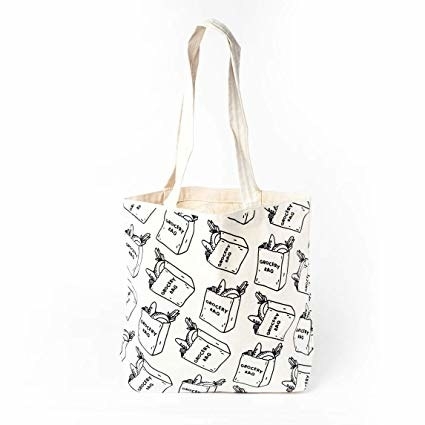 After all, they probably got rid of a bunch of beat-up looking tote bags when they Marie Kondo'd before the move! Get it from the BuzzFeed merch shop on Amazon for $19.99. 12. A set of six "drinking buddies" to help identify whose glass is whose and also make for some extremely silly party pics. A friend bought these for a birthday a few years ago and they're always a big hit at parties. Get them from Amazon for $8.59 (also available in several scandalous varieties). 13. A bottle of ~good~ olive oil because you should listen to Ina Garten (this is one of her favs)! FYI, here are the EVOO receipts from Bon Appetit. Get two 16.9 oz. bottles from Amazon for $47.80 or a 25.4 oz. bottle from Williams-Sonoma for $39.95. 14. An adorable garlic house so bulbs can finally get some privacy while keeping the air flow they need to live their best life. 15. And a deodorizing candle meant to erase the funk of their fave four-legged friend. They can also light it when it's time to finally make that garlicky stir fry. This deodorizing candle comes in a range of scents, unlike most other candles. And it is EFFECTIVE. I recently made this delicious Insta-famous stew with a friend (see the gorgeous results) and when we started in on the onions my tiny kitchen REEKED. Well I lit one of these and in 10 minutes the smell was gone. But it also works wonderfully for covering up eau du dog, as I experienced when I lived with an English Bullie named Cleo. (She's alive and well, we're just no longer roommates! But still v close friends.) Check out our full review of Pet House candles. Get it from Amazon for $21.95 (available in 24 scents). 16. A tissue house for the perpetually sniffly person with minimalist tendencies. Oh hey, and you could also be extra nice and pick up a few square tissue boxes so you can put one inside! Get it from Amazon for $5. 17. Chambong shot glasses as an extra AF way to make a toast. Get a pair from Amazon for $24. And check out a set of champagne shot glasses from Paper Source for $17.95. 18. A professionally framed pic you can easily snag from their Insta feed so it's something you know they like, but it'll still be a surprise! Get an 11"x11" frame from Framebridge for $39 (also available with a personalized mat for $10). 19. 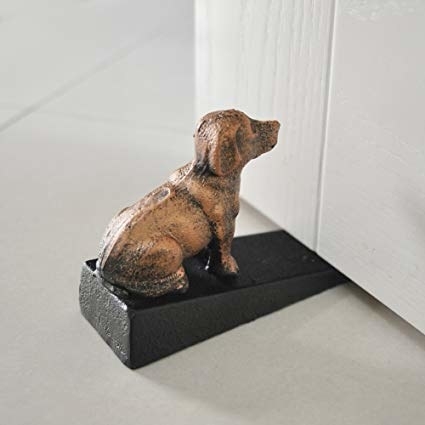 A cast-iron doorstop with a Rodin-like bootay or a watchful pup to serve as heavy-hitting assistants when they need the help. Here's to The Age of Bronze, which people thought looked *too* realistic when Rodin revealed it. Cheers to a realistic thirst trap (though our model here may have a lil' more junk in the trunk)! Get them from Amazon for $14.52+ each (available in six styles). 20. A guac-preserving gadget in case they have any left over from the housewarming party. Or just want to make a big post-party batch for themselves! But don't listen to me, take it from a coworker who owns and adores this! Check out our full review of the Guac-Lock here. Get it from Amazon for $15.68 or The Grommet for $19.95. 21. A plush throw in a range of hues any Ugg stan will appreciate. Get it from Nordstrom for $98 (available in eight colors). 22. A tiny lil' desk calendar they can easily squeeze into their new office nook that barely fits more than a laptop but STILL qualifies as an office nook! 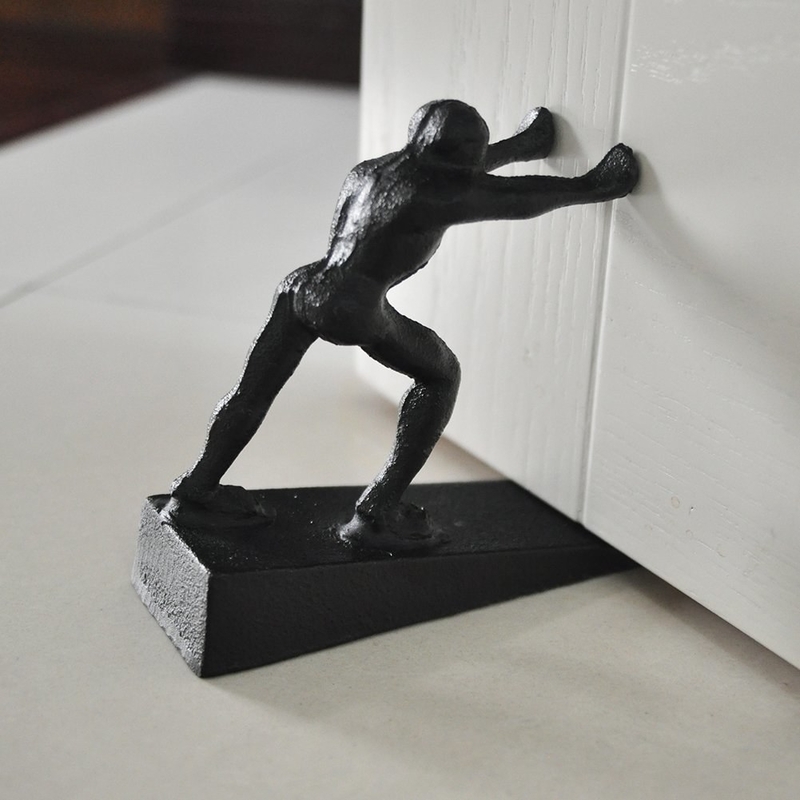 Get it from Favorite Story on Etsy for $8+ (available with or without the stand). 23. Absorbent coasters for the host who's not afraid to get a lil' rude for their furniture's sake. Get them from Amazon for $16.99. 24. Pretty soap dispensers they can decant their big-box buys into so no one accidentally lathers up with Dawn. Get them from Feya + Live Co. on Etsy for $19.90 (available in four bottle types). 25. An adorable fridge refresher that'll look nicer than the crusty old box of baking soda they used in their old place. Get it from Amazon for $13.99. And check out the matching microwave cleaner. 26. Downloadable laundry symbol wall art as a last-minute gift to bedeck the laundry room they FINALLY HAVE in their new home! Get the instant downloads from Molly Alexander on Etsy for $12 (available in a variety of colors and personalization options). And check out a similar laundry cheat sheet magnet they can stick on a machine from Amazon for $14.99. 27. A flat colander they'll never run out of reasons to use. Get it from Amazon for $10.99+ (available in three colors). 28. Geometric bookends for the bibliophile who's already run out of places to store all their tomes in the new digs. Get a pair from Amazon for $16.99+ (also available in white). 29. Dip bowls that may just finally be big enough to contain your own personal serving of their famous buffalo chicken dip the next time you come over to watch a game. Get them from White Gardenia Project on Etsy for $20. 30. An electric wine bottle opener they can put to use STAT for opening up all the bottles other guests bring. If you walk into someone's housewarming party (or really any party) empty-handed, you're a rude monster. I've been the host when this has happened and it has not reflected well on those people. Has a built-in rechargeable battery, opens up to 30 bottles on a single charge. Get it from Amazon for $22.99. 31. A mini waffle maker and waffle mix that'll help whip up a quick and easy breakfast treat! 32. A toast-worthy card that could also cover OTHER wonderful things they're celebrating! Get it from Paul and Waffle on Etsy for $4.50. 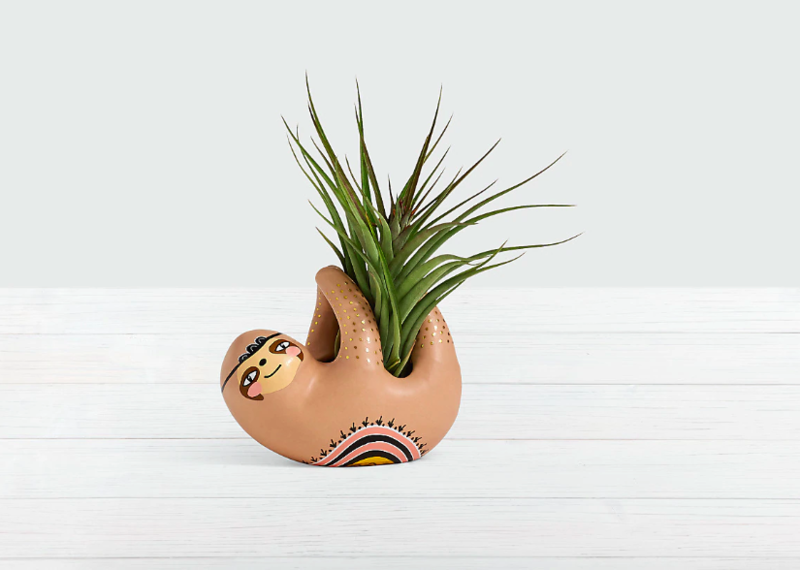 And check out more wonderful things for the home!